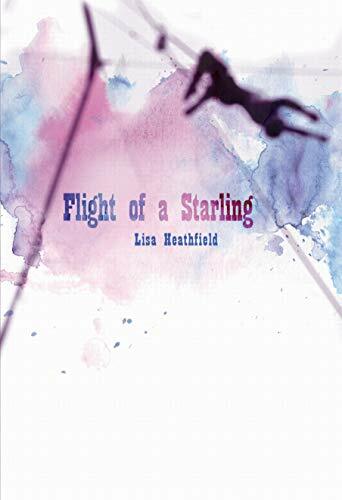 Flight of a Starling is about Rita and Lo, two teenage sisters born into a family of circus performers. The two of them perform as trapeze artists and love traveling from place to place. Then Lo meets a "flattie" named Dean, a college boy who has only lived in one place his whole life. The two form a strong connection and sneak off night after night to be together, despite her father's orders that she is to only associate with her own kind. This, along with the discovery of a dark secret that could destroy her family as she knows it, causes Lo to question whether or not she wants to continue to travel with the circus or run off with Dean. These secrets create a rift between Rita and Lo, which ultimately leads to a tragic outcome. I chose this book to read because I wanted to learn about the unique life of circus performers. Rita and Lo are not only skilled trapeze artists, but they also see the world as if it is a fantasy land, full of fairies, witches, and magic. Even their stage act is based on Lo morphing into a changeling. They talk about feeling stars in their blood and of the explosive feelings they have when they perform. Their lives appear to be so exciting. From the beginning, though, you know that this story is going to be sad. It's like a modern-day Romeo and Juliet set in the circus. Lo cannot be with both Dean and her family, and she can't seem to live without either. No one who is part of the circus is to intermingle with the "flatties," or non-circus performers. Only one performer, Rob, was not born into the circus, but he is the exception to the rule. At the fear of losing Lo to the flatties and possibly causing the circus to close down all together, Lo and Rita's father frequently loses his temper when he catches the two together. I like how the story shows that circus life is not as carefree as you would think. Just as with regular life, they have rules to abide by and tough decisions to make. Also, traveling around gets tiring and makes Lo long for a more permanent home where she can grow tomatoes in the earth. The story shows you that there is no perfect life, but your life is yours, and you shouldn't take it for granted. This story contains some suggestive content, features a scene of drug abuse, and includes descriptions of intense medical procedures.